There are no better vehicles than the scooter when you need to commute from one place to another without hassle in Runcorn. There are many reasons why scooters are a great transport option in Runcorn. In this article, we look at the benefits of owning a scooter in Runcorn and why you should choose one of ours. Faster in Traffic: Riding a scooter allows you to negotiate your way through traffic easily. Parking: If you always have to look for parking space for your car, you won’t have to do so anymore since you can park a scooter almost anywhere. Price: Scooters are also very cheap. You can get one of ours for as low as £999. They are also easy to maintain. Fuel Economy: Scooters are very fuel-efficient. With a full tank of petrol, your scooter can last for days before you need to refill the tank. Minimum Age: With a scooter, you can get on the road earlier than you can with a car. At 16, you can apply for and get a provisional riders licence. Design: Coming in a variety of designs, our scooters are a great choice for everyone. You’ll definitely find one that suits you. 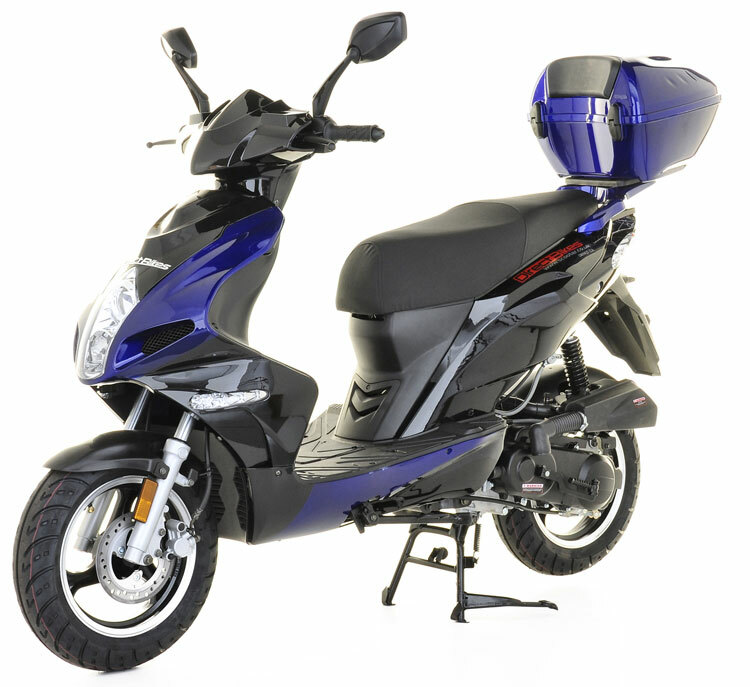 Price: With price ranging between £999 and £1099, our scooters are some of the cheapest on the market. Finance Options: If you can’t pay at once, we also have a variety of finance options that allows you to pay in instalments. Insurance: Insurance is a legal requirement. We also help you find the best insurance policies in the country by comparing the insurance market. Although we have no dealerships in Runcorn (this is another way we help you save money), we can deliver your scooter to your doorstep. All we need you to do is fill in your delivery information and you’ll get your scooter on schedule! Browse our range of 125ccs and 50ccs, order one and start enjoying pleasant rides on the streets of Runcorn.